Renowned entertainer Donny Osmond will deliver a keynote address at the NAB Show Radio Luncheon, sponsored by ASCAP, on Tuesday, April 17 in Las Vegas. Osmond, who has entertained audiences for decades as a singer, musician, actor, dancer and former teen idol, is also a syndicated radio host for McVay Syndication in a partnership with TeshMedia Group. 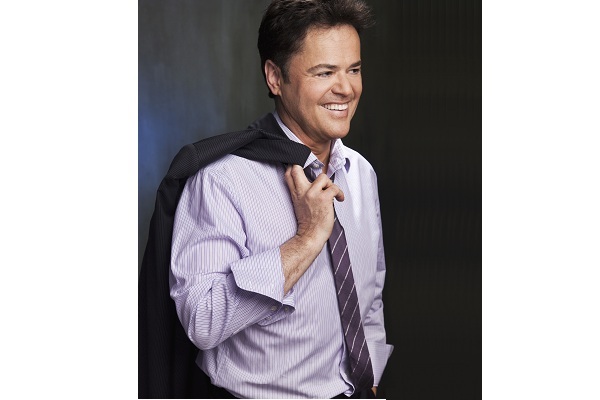 Osmond will discuss how radio has impacted his career over the years. Osmond’s musical career began at age five. He quickly rose to fame, touring the world with sibling music group, The Osmond Brothers. His success continued as he co-hosted with his sister a wildly successful variety show, The Donny and Marie Show. As a solo artist, Osmond’s music career received a boost when he recorded “Soldier of Love,” which topped the Billboard Pop Charts at number two. In total, Donny has sold more than 80 million records over five decades and received 33 gold records.